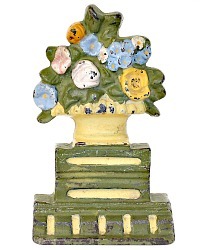 Charming collectible door stop, of heavy cast iron, hand painted in cheery yellow and green, with an overflowing urn of garden favorites. Cheerful flowers include roses, morning glory, and forget me nots, in White, Blue, Yellow and Pink. 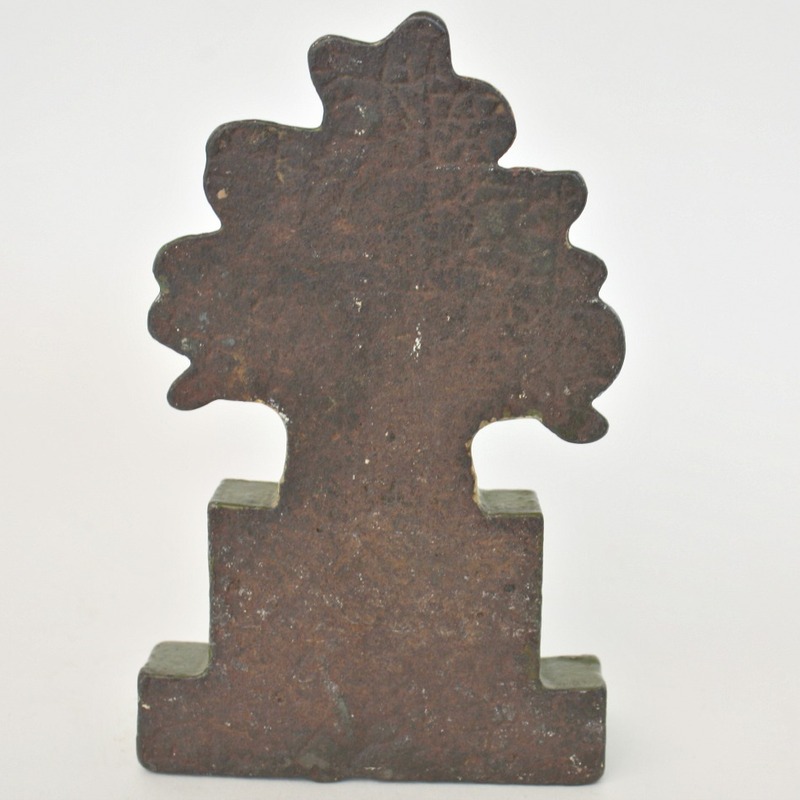 Unusual shape, the urn is on top of a "plinth", smaller size but more than heavy enough to hold your door open. 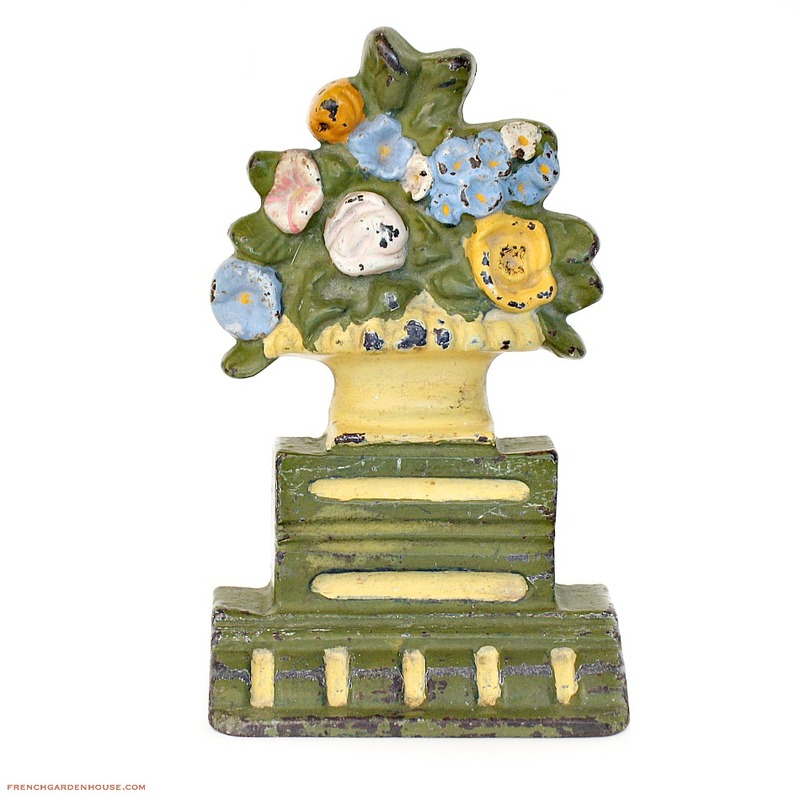 A wonderful addition to your antique doorstop collection, or place this on a shelf with your vintage gardening books to remind you that spring, is indeed, on the way! 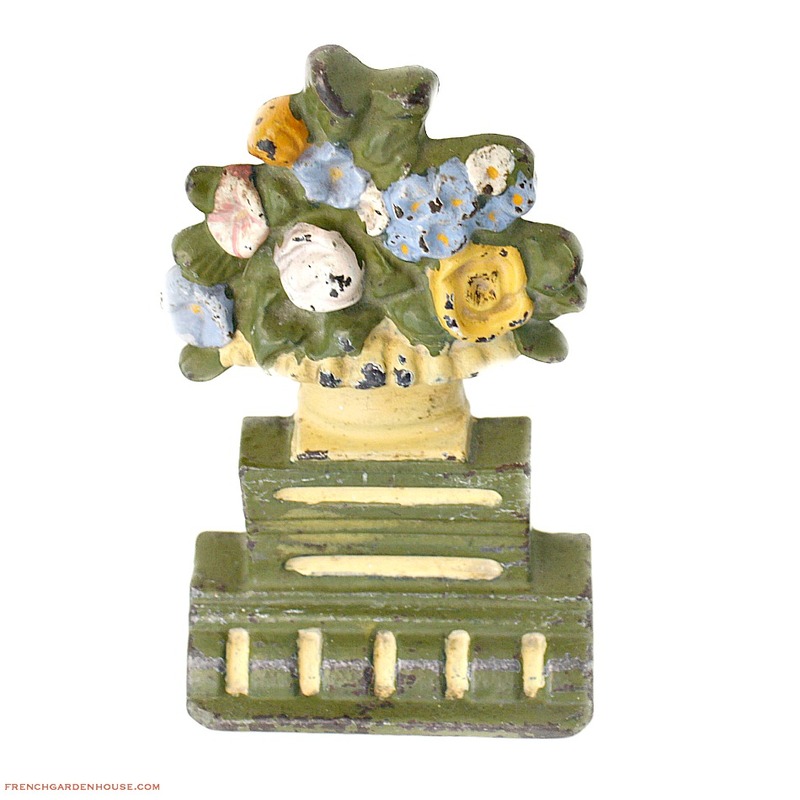 A wonderful floral decorative piece, this has wear as shown. Measures 6~3/4" x 4~1/4" x 2".